This product was sent to me for review purposes. I was not paid for this post but please note that affiliate links are used on my blog. These go towards supporting Oh My Stellar and future content. There are a few brands out there that are consistently bringing out great quality (and affordable) products and By Wishtrend is definitely one of them! Everything that I’ve tried from them has been really good and I love that a lot of their formulations are also designed to be suitable for many skin types – although they aren’t a ‘for sensitive skin’ brand, they often work towards having more gentle products with minimal irritants. That all being said, it had been a while since I used anything from By Wishtrend but I was really happy to get into these two products that they sent over to me! Since I have been having some skin troubles lately and exploring different products to ‘perfect’ it (especially since my skin has been changing so much lately), I was extra keen to get into it. 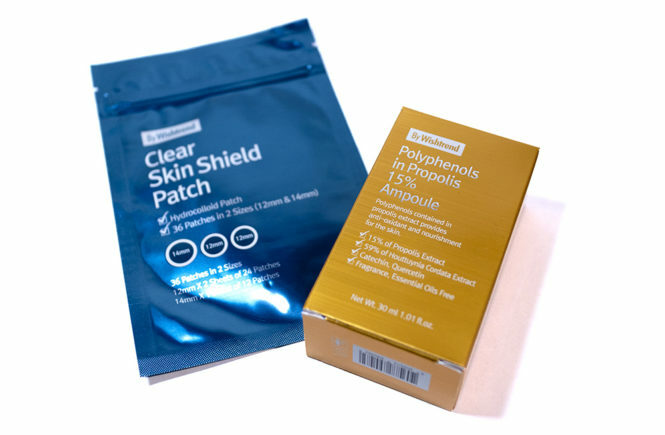 Here is the Clear Skin Shield Patch (which I got into as soon as I got this package), a set of hydrocolloid patches which essentially help to drain out pimples! I love these products but have only used one brand (Nexcare) in the past so I’m happy to be branching out. I also got their Polyphenols in Propolis 15% Ampoule, which will be the first propolis product that I’ve tried out. So, since I’ll be talking about two products in this post, expect that this will be a bit long. Let’s get into it! After finding out that I’m a fan of Dr Jart+ products – in particular their masks – Let’s Face It sent me an extra mask from their line to try out! I wanted to use this much earlier but with how crazily busy my life has been lately (as you might notice from my stranger behaviour on Instagram), it’s been so difficult to even find an opportunity to sit down with a sheet mask. I did finally find a half hour to relax a little though – I was still working as I did so, but gave myself the time to also do some skincare – and I’m pretty happy with this! 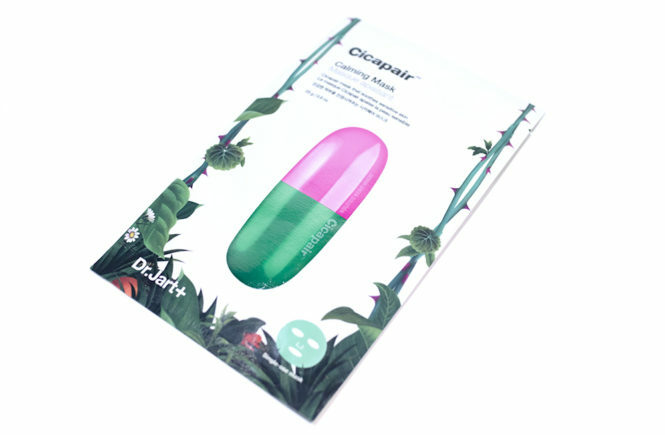 This is the Cicapair Calming Mask from Dr Jart+ which wells for AUD$6.95. It is a bit high in comparison to some roadshop brands but I find that most masks from their brand can be a little bit more expensive – and are generally worth it. You can get this mask from Let’s Face It, along with others from the brand. Also check out my review of the new COSRX Calming Liquid Mild that they had also sent me to review earlier on. And without further ado, let’s get right into this review! When ever there’s a new release with Jeffree Star Cosmetics, it seems like the whole world stops to look – and it was no different with this recent launch of the Blue Blood Collection (including the super covetable palette, which is the sister product to his cult favourite Blood Sugar Palette). This collection dropped a couple of days ago and – as expected – the brand is not only right on trend with the beauty community, but also daring enough to push the boundaries of convention. They did it once with the bold, red themed Blood Sugar and they are doing it again with the (almost) all blue Blue Blood. Everything is now available on the Jeffree Star website or at Black Swallow. If you’re Australian based, I highly recommend buying from them as they are official stockists and have a ridiculously fast shipping service for us too (free for orders over AUD$100 and with 10% off for all students). Now let’s look over everything! It’s funny to think that just a few years ago, I used to go around with my (very faint) brows completely bare (and yet somehow did my actual eye make up very dark). I know much better now though and I find that I actually really enjoy doing my eyebrows, even if I have less to work with than some people. If the eyes are the window to the soul, then your brows are the curtains – and trust me, we all like nice curtains. 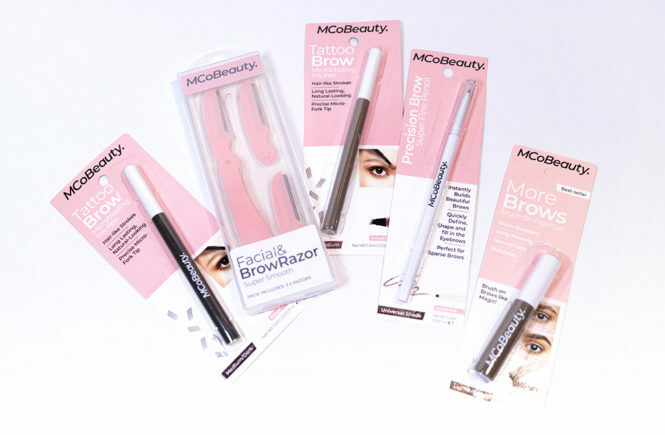 MCoBeauty recently reached out to me about trying some of their products, and they ended up sending me a bunch of brow products – which is great because I have been wanting to experiment more with them. I’m a bit of a creature of comfort so I’ve been using the same products for months. They are the new sister brand of ModelCo, a well-known, Australian drugstore brand most well known for their tanning products. McoBeauty, however, claims to be ‘your new luxe for less beauty obsession’. They focus primarily in the cosmetic area and have been making a social media splash with their affordable but quality products. In fact, everything in their range is under AUD$30. They are cruelty-free and vegan certified too, which is great for people who want more affordable, lifestyle suitable options. All of their products are currently selling at Woolworths (if you’re Australian) or you can also check out the full range on the MCoBeauty website where they do free standard shipping for orders over AUD$50 too! Before you do that though, let’s get into each product that they sent over, as well as my thoughts. There are some brands out there that you hear about a lot but, somehow, never end up trying any of their products – whether it is because of the price or sometimes just because you never really have a chance to. For me, Belif falls into both of these categories. Although they are an independent brand, their price points can be a little bit expensive – not exorbitantly but just a little. In addition, I do have some of my favourite products, so I was never sure if I should be splurging a bit to test this out. 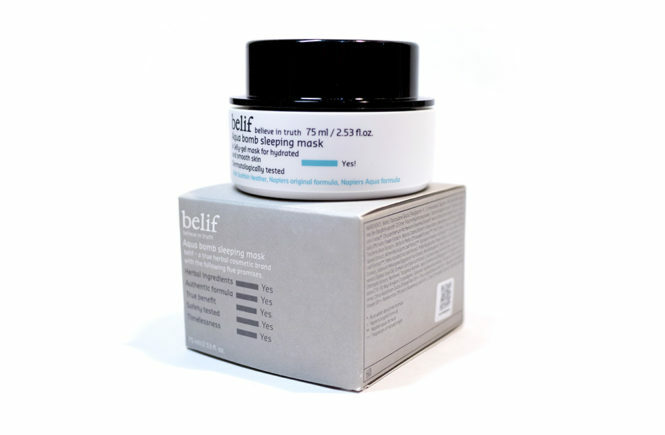 With my recent collaboration with BONIIK, I decided to pick up a tub of this Belif Aqua Bomb Sleeping Mask to try out. I did go a little bit over budget (from the store credit they gave me) so I guess this product is partly gifted (hmm). Belif’s most famous product is the True Cream Aqua Bomb, which is their original cult favourite, but I chose to try out something different from the same range instead – the Sleeping Mask. I did try out a lot of other products from BONIIK too and chose this exact product (as well as the Hanyul Watery Calming Gel) because I loved the texture of it and how it felt on my skin. And I have to say that I have no regrets. I had a really great time testing out this product so I can say immediately that this is going to be a positive review. 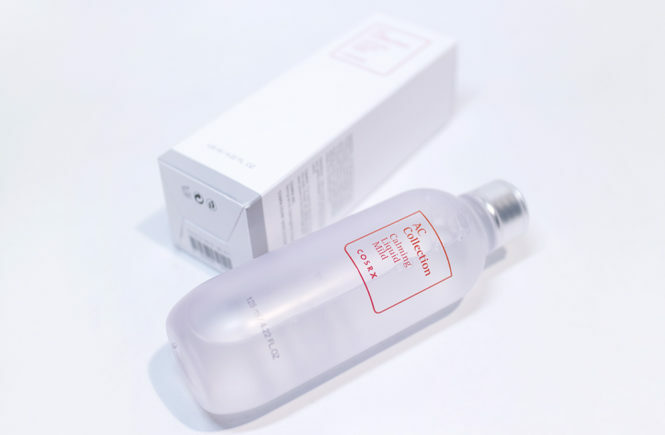 This is a really great quality product that delivers on their claims so I would definitely recommend checking this out – although they are more expensive than an average mid-tier road shop brand (like Laneige), it is definitely worth it if you are wanting to splurge a bit! So, let’s get right into this review! We are at my final post for the VT Cosmetics reviews! I hope that you have been enjoying these so far and that they have been informative for you in choosing what to buy or to skip out on. In general, I have found the brand to be a bit of a hit-or-miss so I would definitely be looking into reviews for anything I buy from them. 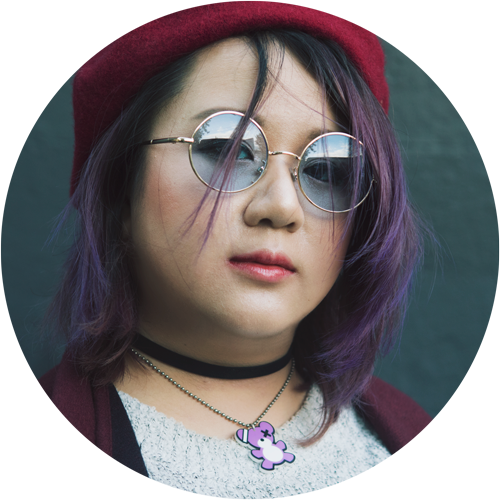 For the last post here, I want to be sharing two more cosmetic products from them and – once again, and quite predictably – there was one that I liked and another that I will not be using again. First off is the Super Tempting Lip Rouge, which I have in two shades with two different finishes, and then there is the Gloria Powerdation which is a matte finish liquid foundation. All of these products, as well as even more from the VT Cosmetics line and other brands are available at BB Cosmetic, and that you can also use my code for a little 5% discount – QAL3F6ZA8YZ – it isn’t much but personally, I never say no to saving money. This product was sent to me by StyleKorean for review purposes. I was not paid for this post but please note that affiliate links are used on my blog. These go towards supporting Oh My Stellar and future content. It’s no secret that I’m an absolute eyeshadow addict but most of my collection is actually Western. There are very few kbeauty eyeshadows that I personally love, mostly because I find their formulations too sheer and light for my style. However, there is one brand that I fell in love with early on in my make up journey – Heimish! You can actually check out my review for their original Dailism Eye Palette way back in 2016 when they were still a very new brand to StyleKorean (right here). It’s been going on three years now and the Heimish brand has expanded a lot, but I think that I will always be going back to their eyeshadow palettes. I loved the original one so much and I ended up using it as a travel palette over and over again, but I was getting sort of bored of the colours. My own style and preferences have changed a lot since then, so I felt like it was time to revisit the brand again just to find another palette that really speaks to me. Looking through the Heimish offerings over at StyleKorean, I realised that they have also since repackaged all of their Dailism Eye Palettes! The general case is the same but they now have different colours (to reflect the theme) and their box packaging is also much more beautiful. 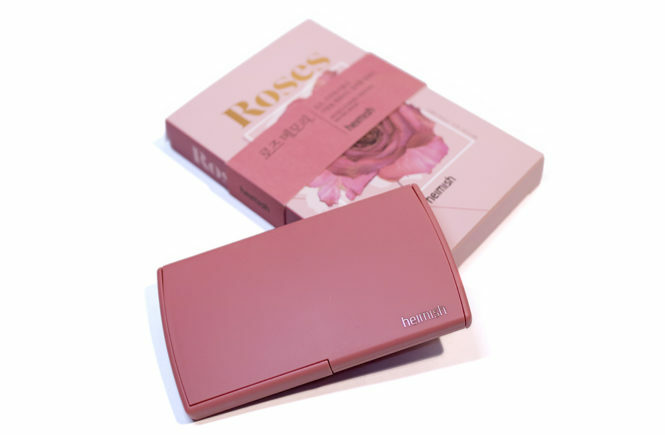 There are three different colour variants available (Coral Essay, Brick Brown and Rose Memory) and I ended up choosing to review Rose Memory, which has a more romantic and sultry pink theme. It is also a little bit cooler in undertone compared to the other two. This palette is selling for USD$32 on StyleKorean, which is a minor mark up considering it was originally USD$29.90 back in 2016. With the upgraded packaging and the fact that Heimish is now a much more established brand though, I think that this is a fair price. Check them out on StyleKorean if you’re keen to buy but first – let’s get into this review! Sit yourself down and take a (comfy) seat because this is going to be a long post! I was originally planning on write this as two seperate posts but, after trying out both of these products from VT Cosmetics found that my thoughts on the two products are so different – because I love one of them so much that it’s my new HG, and then dislike the other one so much that I don’t think I will be finishing it up at all. 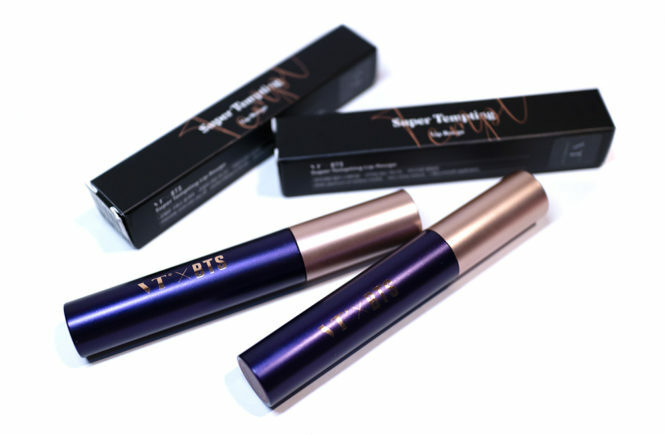 If you read my Part I post, you will note that I found products from this brand to be very hit-or-miss, so today I want to share with you a product that I would recommend you rush to buy and another one that really doesn’t live up to expectations. So – onto the review! This product was gifted to me for review purposes. I was not paid for this post and affiliate links are not used in this post. If you haven’t heard of Hanyul before, then I need you to drop everything because I recently tried out my first product from the brand and I am actually in love. Yes – in love. I’ve been raving about this for quite a while on Instagram and I’m not sure if people understand how much I enjoy this product, so I knew that I had to write this review to talk about. I received the Pure Artemisia Watery Calming Gel from BONIIK to try out but, actually, it was one that I chose myself after a skin consultation and testing out a bunch of different products. I told them about my combination skin that liked to get oily during the afternoon, and also about how rushed I am for time in the morning. They recommended for me to try out a more lightweight gel-type moisturiser and, after testing out a lot of products, this is the one that I was really keen to take home!